Need a way to fight back against scummy buildup on shower doors? 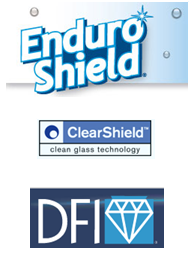 With modern technology, there are factory coatings available to protect glass and make it easier to clean. Think of it like a clear teflon® coating that makes water bead up on glass. 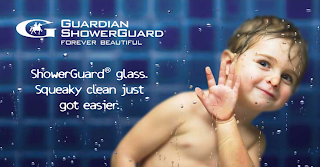 Guardian® Industries has developed a permanent coating called Showerguard™ that seals the porous surface of glass. All Clarvista glass is produced with a coating fused on the glass to provide a lifetime warrantied shield against the harsh shower environment. It's available for regular Clear glass and water-clear Low Iron (starphire) glass for years of protection. Spray-on products are a great option and save you a few bucks. 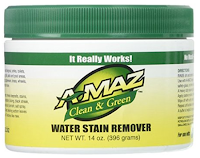 These products carry a 3-5 year warranty and need to be reapplied. But don't be fooled - even with coatings the glass needs to be squeegee'd after showering. Also use a microfiber cloth so your glass will be healthy, sparkle and shine. 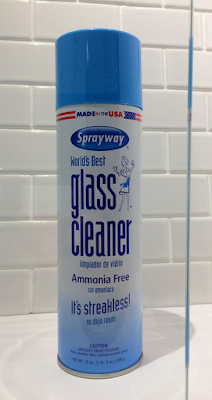 Just perform regular maintenance using an ammonia-free glass cleaner to avoid "the cloud" on your shower glass. BOTTOM LINE: Glass sealants for shower doors prevents the crud from etching the surface permanently - and saves you cleaning time. Caution: Mildly abrasive water spot removers can rub off the spray-coating so be sure to test a small inconspicuous area first and follow the manufacturers instructions. 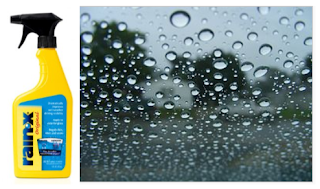 Another option for making water bead up on shower glass is to use the product called Rain-X®. Just follow the manufacturers instructions to seal the porous surface of glass and it holds up for about 2-3 months under normal use. NOTE: Apply to glass only and not the floor or adjacent surfaces as they become slippery. New shower glass really sparkles and shines. And if you never squeegee or use glass cleaner, cloudy layers of YUK start to form. 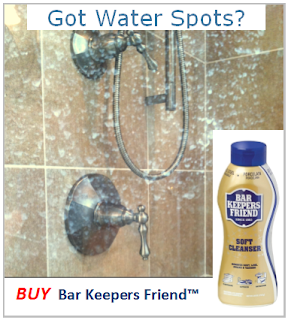 How do you prevent soapy scum and water spots on glass shower doors? Be sure to squeegee the glass before the water dries on it -and use a good glass cleaner (NO ammonia) weekly. Does that piece across the bottom of your frameless shower door look yukky? © Shower Doors, LLC. Powered by Blogger.